• Discover architecture. Learn more on becoming an architect as well as other careers that draw on the skills mastered by studying architecture. It is diverse and multifaceted, and has many opportunities for specialization—become familiar with the options. In the design of the built environment, including public space, and how people use it. 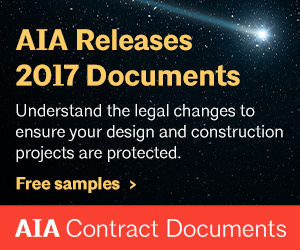 Contact your local AIA component/chapter; talk with architects; observe buildings and construction sites; visit schools and speak with architecture students. • Prepare for professional education. Develop a broad interest in the arts and humanities and a solid background in the physical sciences, and math. Consider taking Advanced Placement courses while in high school. Writing effectively, speaking clearly, and developing freehand drawing skills are essential to pursuing a career in architecture. Books and magazines on architecture and design, and browse the web for architecture design websites and blogs. Posted in Education on February 20, 2016 by idler50.